If you have ever thought that people who look like you or think like you or live like you don’t do yoga, this is your place to give it a go. More than mimicking the movements of a teacher, yoga is about learning how to see the light inside yourself, pairing that light with movement, and letting it shine. 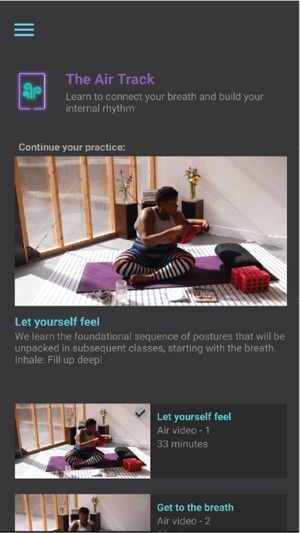 At THE UNDERBELLY, Jessamyn Stanley invites you to step into a process that uses yoga as a way to spend time with yourself and become aware of/appreciate how you fit in your own story and prioritize yourself in it. When you leave, you can take with you tools like grounded-ness, breath, and self-love to get you through. The more you practice, you’ll evolve your awareness and connection. To get started, download THE UNDERBELLY, sign up for a $9.99/month subscription which gives access to THE UNDERBELLY lesson videos. Let Jessamyn guide your journey. Cancel anytime. When Jessamyn speaks, I feel validation. My body is not wrong. My movements are not wrong; everything I do in my practice is what needs to be done. She emphasizes this first and foremost, allowing you to completely give yourself over to your practice. I have attended many yoga classes in person, and no teacher has allowed me this much freedom. There is no language barrier to yoga here. Everyone is welcome, so please join. App is super user friendly and simple. We go there to do work and to reflect. Absolutely wonderful. As a plus size gal, I’ve always been intimidated by yoga... yoga teachers, yoga poses and most certainly yoga classes. Jessamyn was the first teacher I found (online at that!) who could make yoga relatable for me and take away the intimidating feelings I had toward it all. 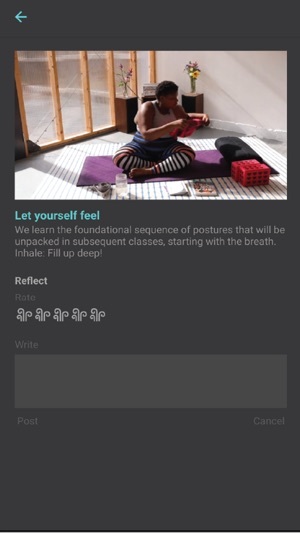 She’s such an incredible teacher and I’m so excited she now has an app so people like me can connect even further to her yoga teachings! Jessamyn is so supportive and encouraging. Her message of focusing on what YOUR body needs and how YOUR body actually works is something that even experienced yogis need to come back to. She also has the most honest and authentic voice in yoga—everyone has so much they could learn from her, and this is a great platform for that.